What’s On Your Big Sky Bucket List? 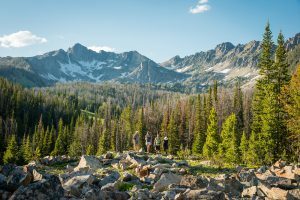 Big Sky, Montana has a lifetime of fun things to do. 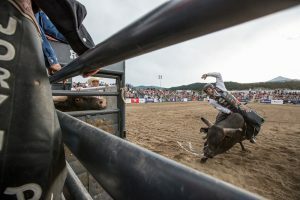 It doesn’t matter if you're a long time local or you just visit Big Sky to disconnect and play in the great outdoors, there are bound to be plenty of things that are on your Big Sky Bucket List. Make this the year that you start to tick things off of your Big Sky Bucket list. As our skiing hero, Warren Miller, likes to say, “If you don’t do it this year, you’ll be one year older when you do.” So no more excuses. This is the year that you need to get out there and make the most of Big Sky, Montana. Climb to the top of Beehive Peak. Eat breakfast at the Inn On The Gallatin. Attend at least 3 events at WMPAC. Try backcountry skiing in the Madison Range. Go ice climbing at Ousel Falls. Learn to cross country ski at Lone Mountain Ranch. Drink more coffee at Caliber Coffee. Upgrade your ski quiver at Big Sky’s outdoor retailers. Hit up the local hot springs. Swing the clubs at the Big Sky golf course. 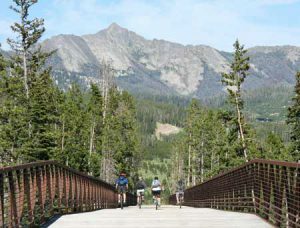 Try downhill biking on the Mountain to Meadow trail. Rent a snowmobile and rip around Buck Ridge. Climb to the top of Hilgard Peak - the highest point in the Madison Range. Volunteer with a Big Sky non-profit. Stop and enjoy the apres scene at Scissorbills. Enjoy a local brew at Beehive Brewery or Lone Peak Brewery. Visit the Grizzly & Wolf Discovery Center. Ride your bike in Yellowstone before the road opens to cars. Go backpacking in the Taylor Hilgards. Explore the Lee Metcalf Wilderness on horseback. Party like a rock star at SnoBar. Paraglide off of Tick Ridge. Fly fish in an alpine lake. Go on a date night at Michelangelo’s. Try paddle boarding on Hebgen Lake. Buy a National Parks pass and use it. Go on a Montana road trip to the small Mom and Pop ski resorts. Win Trivia Night at Lone Peak Cinema. Shop local at the Big Sky Farmer’s Market. Go on a picnic in Beehive Basin. Watch ski joring at 320 Ranch. Buy your very own piece of Big Sky Real Estate. 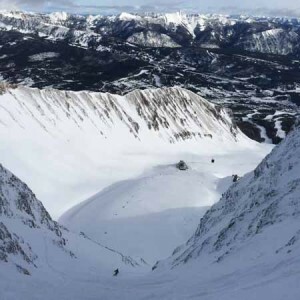 Hire a inbounds guide to show you around Big Sky Resort. Explore Big Sky history at Crail Ranch. Enjoy a locally made ice cream from the Emperor of Ice Cream. Go for a zip line adventure. Hike to the summit of Lone Mountain. Start fat biking the local bike trails. Buy a Golden Bucket Ticket For the PBR. Enter the Lone Peak’s Revenge Enduro Race. Come by the Big Sky Visitor Center and say hi! How many of these things can you do this year? It’s time to get busy! We have a good feeling that 2017 is going to be the best year ever. See you out and about. PS - Whenever you tick something off of your Big Sky Bucket List, tag it on social media with #bigskybucketlist and #visitbigsky.